Michaelann Nelson received her bachelor’s in English from Weber State University and finished her doctorate in English at the University of New Mexico. Despite teaching at USU Eastern for two years, Nelson has been teaching as an assistant professor eight years. She previously worked at the Western New Mexico University and at Bethel University in Tennessee. “I love Utah State, I’ve always loved Utah State…I’m an Aggie all the way,” she said. She applied for the first job opening in the English department in 10 years and is excited to work for USU. In addition to teaching, Nelson is also the advisor for the Price chapter of Sigma Tau Delta, an English club, known as STD. The English club is part of an honor society on a national scale. Nelson has been advising STD six years. The organization provides scholarships and traveling for its participants, as well as more publishing opportunities. STD provides not only professionalization opportunities, but opens students up to concepts that may not be shared in a class room setting. Anyone can join; just sign up and participate. Along with her teaching career, Nelson identifies as an activist. In Layton, Utah, at the age of thirteen, she read an article about factory farming in her Seventeen magazine, which started it all. “I became more involved in animal and environmental rights as a teenager.” That snowballed into writing letters to senators, voting, signing petitions, and sending money to causes. It wasn’t until the election of 2016 that she finally kicked it into high gear. “It was a wakeup call for me and a lot of activists who had taken their foot off the gas and were like ‘Obama’s got this.’ We realized we have work to do. We still need to defend these causes. The last election got me “fired up and ready to go!” That’s an Obama saying.” Nelson said. 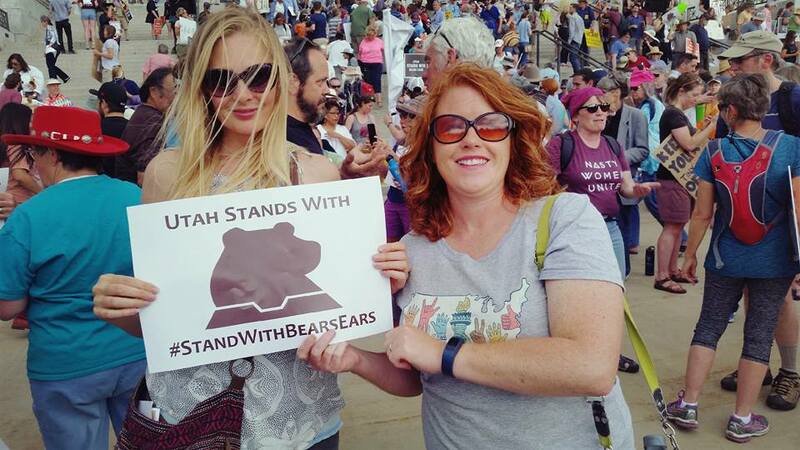 Over the past year, Nelson has participated in the Salt Lake marches for refugees, attended protests about income inequality, and a number of environmental projects including the Bear Ears Monument movement. She also participated in the nationwide women’s march. Nelson identifies most with environmental causes. “We have the right to breathe clean air.” She fights for wilderness and land preservation as well. Sigma Tau Delta has also participated in so activism with their event “Have you seen this American?” Members of the club were asked to share the stories of immigrants in an attempt to educate individuals about the hardships of immigration. As for the activism, it’s “The feeling of showing up, looking around and seeing one thousand, two thousand, three thousand! All of the voices just coming together. And just standing up to protect! I just think that that is so powerful. This is what democracy is all about and I don’t think that many people exercise their voice enough”. So what if you want to get involved and don’t know how. Follow these easy steps. “First, show up! Make a sign, don’t make a sign. Just show up.” If you hear of a march or a protest that you may be interested in make the effort to go out there and make your voice heard. Second would be to join an organization. There are always organizations you can join and those groups have lobbyists who will advocate for your cause. Nelson’s work has not gone unnoticed. A sign she made for the 2018 Women’s March which read “I’m with Her” that pointed to a picture of the Earth was a featured photo in “USA Today.” It was also mentioned by many of the speakers that day. With no intention of stopping, we are likely to hear of Dr. Nelson’s work again.